It is often said that a country can prosper only when farmers of that country prosper. India being a developing country still has its dependence largely on agriculture. In this context, awareness and prosperity of farmers become imperative since they contribute a sizeable portion to the GDP of our country, India. 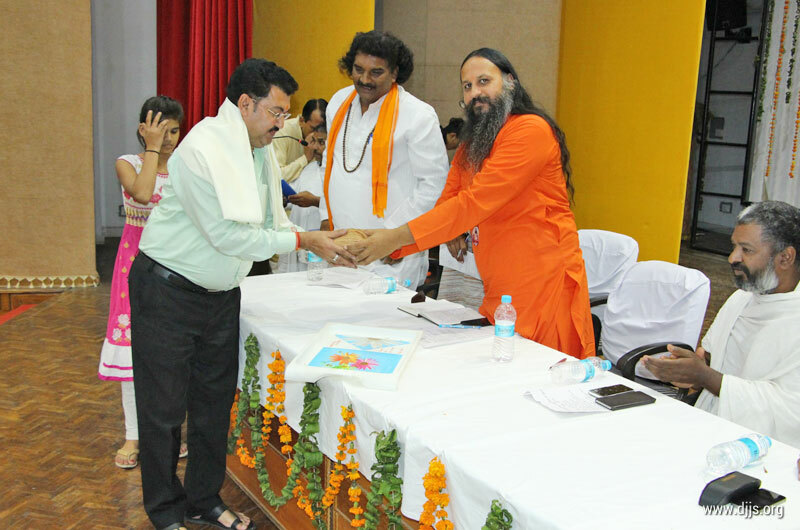 Divya Jyoti Jagrati Sansthan (DJJS) under the aegis of Shri Ashutosh Maharaj Ji is working for social and spiritual uplift to the lowest denominator so that financial inclusion becomes a reality. With the objective of prosperity of farmers in mind, a two day forum was organized in Bundelkhand, Jhansi some days back in which representative of DJJS took active part. The objective of forum is to put more income in the pocket of farmer using organic agriculture and indigenous cow rearing techniques. The entire program was concluded under the supervision and guidance of Honourable Hridaynath Singh (National convener- Panchayati Raj, Kishan Morcha, Namami Gange, Delhi). Various dignitaries participated in the forum like Swami Adrashay Kad Siddheshwar Ji (Kaneri Math, Kohlapur), Shri Vijaypal Singh Tomar (National convener, Kisan Morcha), Shri Pushpender Singh (Parliamentary member, Hamimpur), Vice Chancellor, Indian Grassland and Fodder Research Institute, Jhansi and Chancellor, Bundelkhand University apart from other scientists, farmers, cow breeders etc. Narration of the program was conducted by Shri Sham Bihari Gupta and Gopal Upadhyay Ji. The program was very well received. First time, topics of great relevance (related to farmers) were discussed in detail. The organizers were indebted to the organization for bringing relevant viewpoint to the table for discussion.